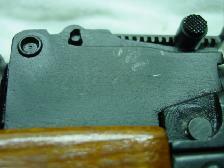 This page contains information on what to look for when trying to ID a certain rifle. This database was assembled from the collective effort from the members on AK-47.net. Thus not all markings may appear in the place described, it depends on a number of factors, including human error. To use the database just look up the rifle type on the below table and note the location of the markings. Then check the loacation described. The picture below are there to show you were you should direct your attention. Also a lot of people ask how you can tell what year the rifle was manufactored in, well look at the seral number and ussally you can see the year. 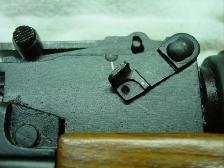 Years for all rifles can range from 97-2004. 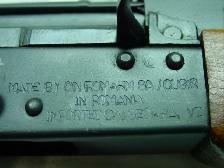 NOTE: Rifles after 2004 use a new numbering system since they have been built from un-issued de-milled Romanian AKM part kits produced in the late 70s & early 80s. 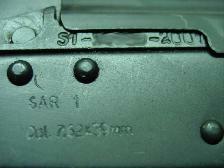 Until a pattern is found for these rifles assume they are post 2004 production.